Tissue Paper Sharks | My Crazy Blessed Life! It’s Shark Season! Shark movies are on TV all the time and Shark week begins next week 🙂 My kids love sharks and all of my art class students do also. In fact each year during my art camps we dedicate one whole day to just Shark art and craft projects! This week I’m going to post some of the many projects we’ve done. This one was simple. 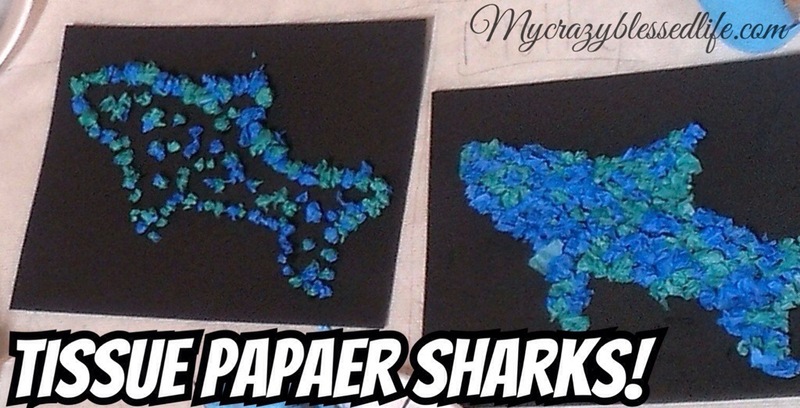 I traced a shark shape onto black paper and gave the kids some glue and tissue paper. They tore the tissue into small pieces and then glued them on in the shark shape. Fun and easy project to get into shark week! 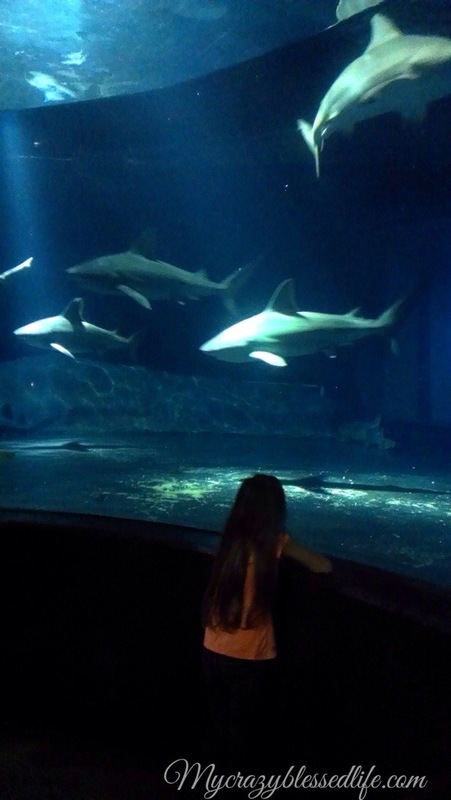 Here is a fun pic of my daughter with the sharks at our local aquarium (we love going there so much we have a membership)! Oh so cute! Added this to my shark week post!Thanks for sharing!